One of the many emergency medicine locations throughout the nation that is preparing for an influx of new patients. WASHINGTON—Preparing for a surge in business from the millions of Americans who could soon be left without access to medical care, the nation’s back alleys were reportedly rushing to expand their services Thursday in anticipation of the American Health Care Act becoming law. Sources from back alleys in every state confirmed that as soon as the U.S. House of Representatives passed the bill known as Trumpcare, their filth-strewn, sidestreet-based facilities began scrambling to add personnel and expand into nearby shuttered warehouses and vacant lots in order to meet the increased demand for services expected from low-income families, elderly Americans, individuals with pre-existing conditions, and others who will have decreased access to health coverage. “I just put some cardboard down under that fire escape there so we can have a dry place for a neonatal unit,” he continued. According to reports, back alleys around the country have begun to upgrade their facilities, hauling in additional soiled twin mattresses to increase the number of available beds, shoveling out rodent carcasses to create makeshift waiting areas, and diverting drainpipes from adjacent buildings so amateur practitioners have a supply of rusty water to scrub their hands with before performing appendectomies. The demand is expected to be so great that the back alleys are reportedly planning to offer a wide array of medical services, with each darkened, grimy corner of the nation’s empty back streets and abandoned industrial parks focusing on specialized areas, such as emergency care, geriatrics, labor and delivery, prescription drug dispensing, or outpatient amputation procedures. Chalmers went on to state that he had even further expansion plans for the future, gesturing toward a nearby dumpster, which he said he was hoping to set up as a hospice unit. Additionally, he said he had found a dental assistant with access to oral painkillers who told him she could help out with addicts who, if the 2010 Affordable Care Act is repealed and replaced, will no longer be able to afford methadone or addiction treatment. 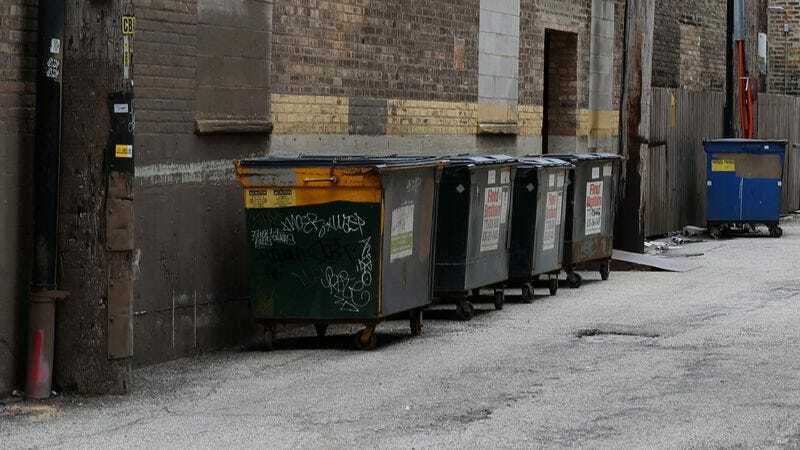 Speaking with reporters, several Americans who stand to lose their health insurance under Trumpcare expressed their gratitude that the nation’s back alleys were expanding to meet their needs. “Considering how busy these places are about to get, I just hope they’ll be able to fit us in,” Williams added.